What's your MacGyver moment? More than a fictional TV character, MacGyver is a cultural icon. 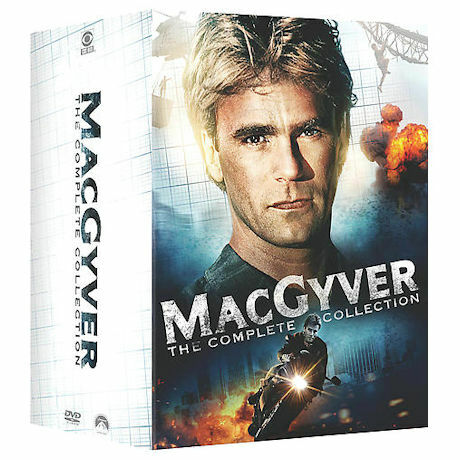 Richard Dean Anderson stars as the secret agent/scientist/action hero/Boy Scout whose intelligence is his deadliest weapon. Armed with only a knapsack filled with everyday items, he solves complex problems with ingenuity, duct tape, and his Swiss Army knife. Seen on ABC from 1985-92. 139 episodes, 110½ hrs, 39 DVDs, CC.